You don’t want to miss our once-a-year-only annual event — pay off late fines Tuesday April 23 to Thursday April 25 and receive 50% off! For example, for every $1 you pay Ms. Penner will take $2 off your library account. Curious if you have any fines or overdue books? 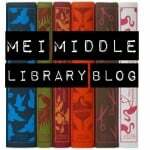 Take a peek at the my MEI library tutorial for step-by-step directions on how to login to your library account. 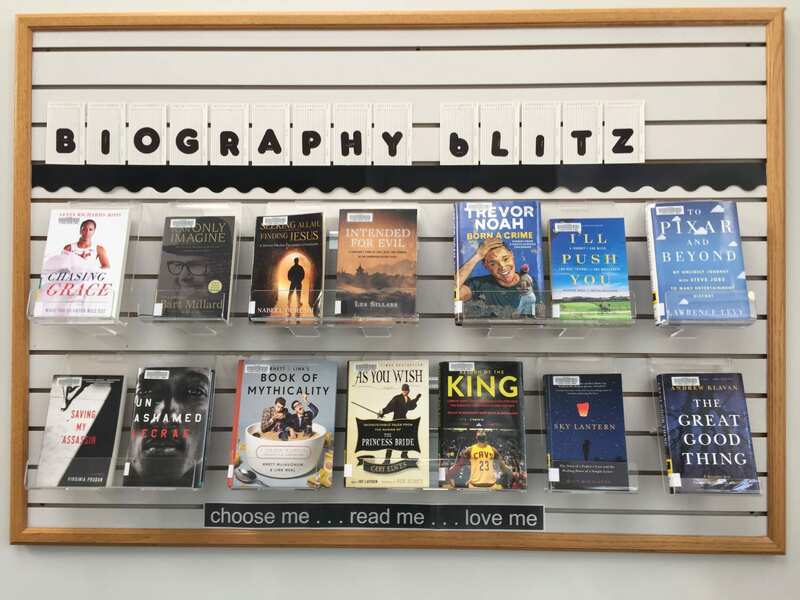 Did you know that MEI Secondary Library has over 850 biographies and autobiographies? Stop by and check one out! 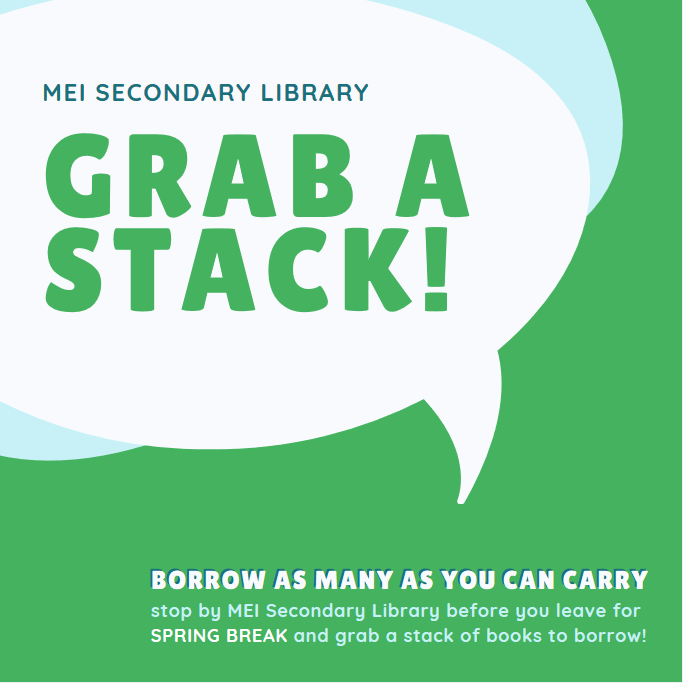 Stop in at the library this week and grab a stack of books to borrow over Spring Break — there is no limit on how many you can borrow! There is also a display set up with an assortment of new books and recommended reads for you to browse and borrow. What happens when you can’t dream anymore? Is there even a cure? Cherie Dimaline’s The Marrow Thieves tells us of a world where this has happened. “…the world has been ravaged by global warming. Cities have crumbled from the coastlines, “breaking off like crust,” and hurricanes, earthquakes, and tsunamis have wiped out entire communities. Millions of people have lost their lives, and those who remain have endured trauma that has led to their inability to dream — with the exception of North America’s Indigenous peoples, who carry dreams in webs woven into their bone marrow. Winner of the Governor General’s Literary Award, the Kirkus Prize, the White Pine Award, a Globe and Mail Best Book and a contender in the CBC Canada Reads 2018, it appears to be a dystopian story set in Canada’s future with a message that warns us of what might come, but there are underlying themes of social justice with an echo of a sordid part of Canada’s history. 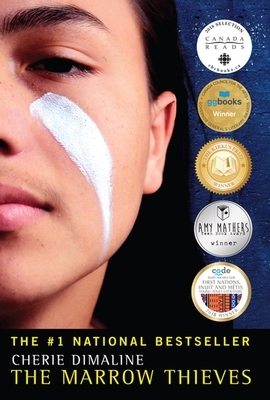 If you are interested survival stories, Truth and Reconciliation, dystopian futures or all of the above, make sure you check out Cherie Dimaline’s The Marrow Thieves, found on our Fiction shelves under F Dim. Check out the book trailer below! 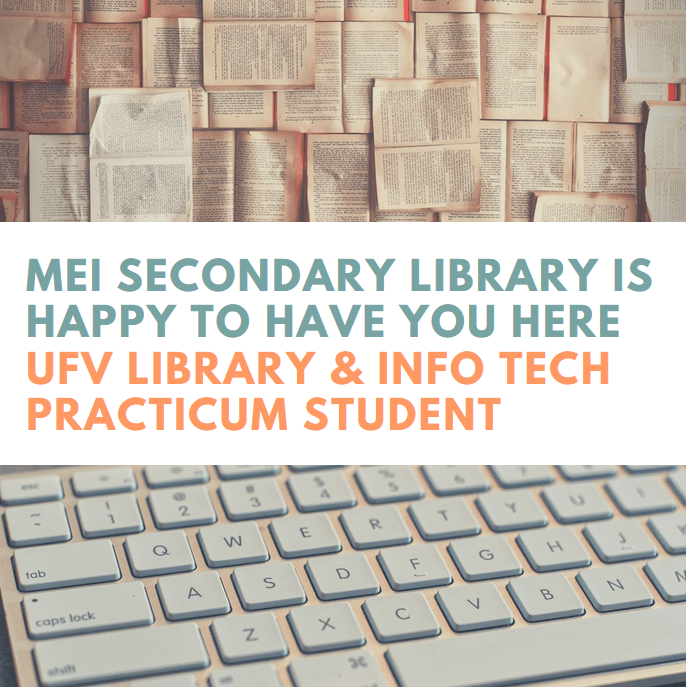 MEI Secondary Library is happy to once again host a Practicum Student from the UFV Library and Information Technology Program. 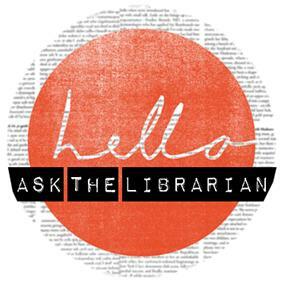 On most Tuesdays and Thursdays this February and March, Ms. Samantha Gibbs will be joining Ms. Penner in the Library. Make sure you stop by to say hello and welcome her to MEI Schools! 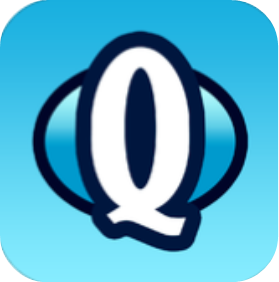 Looking for a quiet spot to study for your finals? 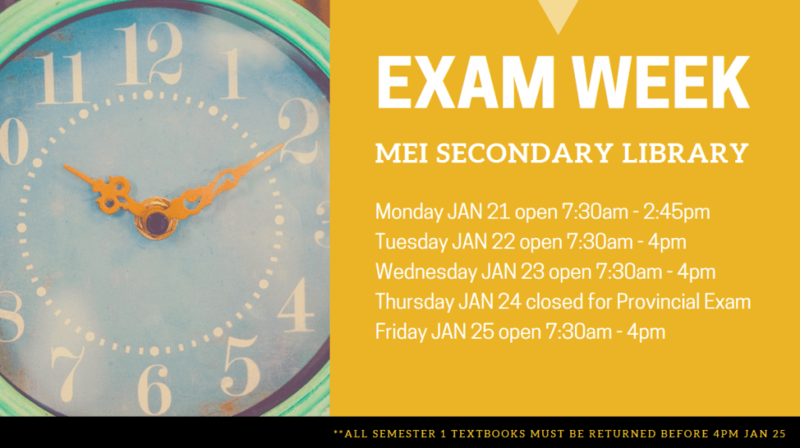 Here’s a look at the hours the library will be open during Exam Week. Parts of the library are being used for writing exams this week so the library is a quite study zone. If you want to hang out with friends before or after exams, please head somewhere else out of respect to the exam-writers! 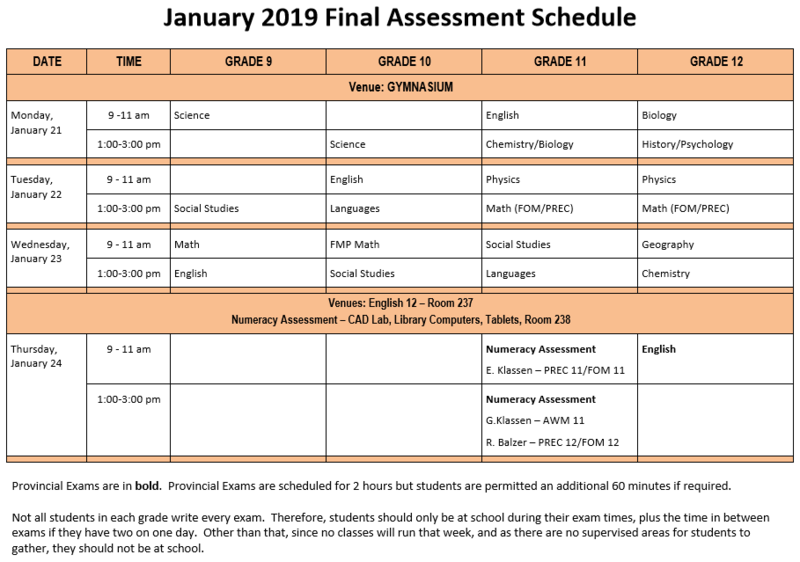 After you go to your final classes of semester 1, return to the library whatever textbooks you won’t need to study for finals. 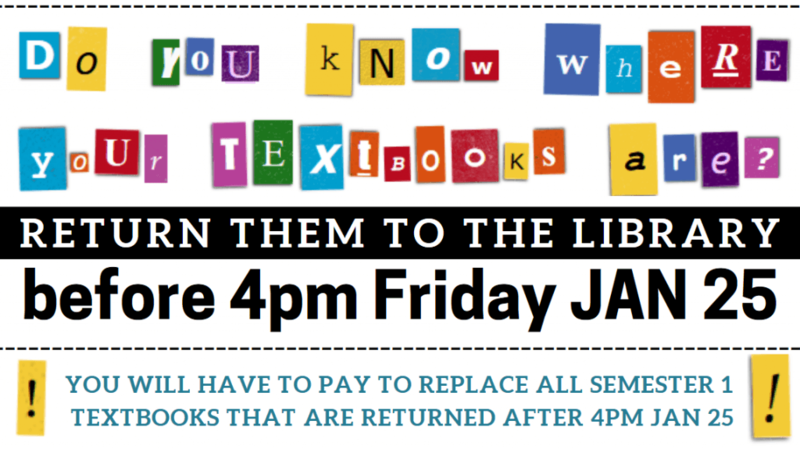 ALL semester 1 textbooks must be returned to the library no later than 4pm on Friday January 25. 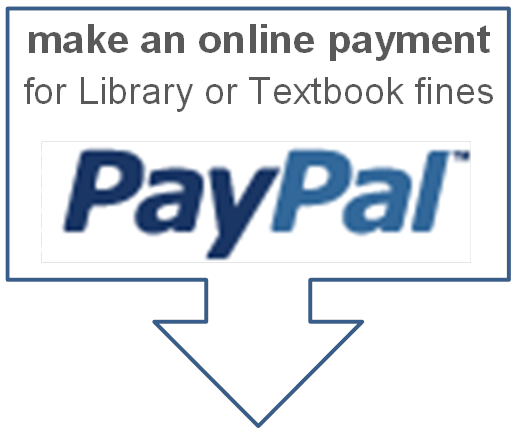 After that time, new textbooks will be purchased for the semester 2 classes and you will be charged the replacement cost even if the textbook is returned later. Wondering what everyone else is reading? 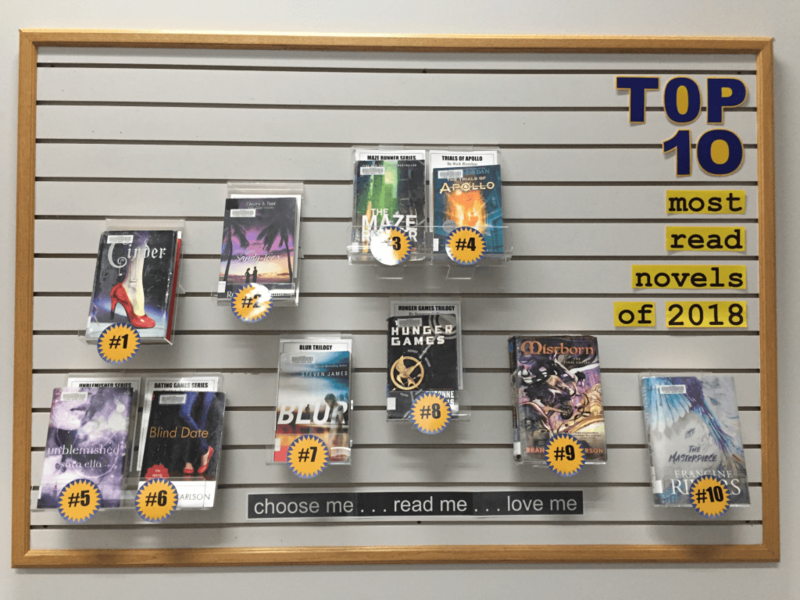 Here’s a look at the Top 10 most read books and series of 2018 — check them out! Are you up for a challenge? 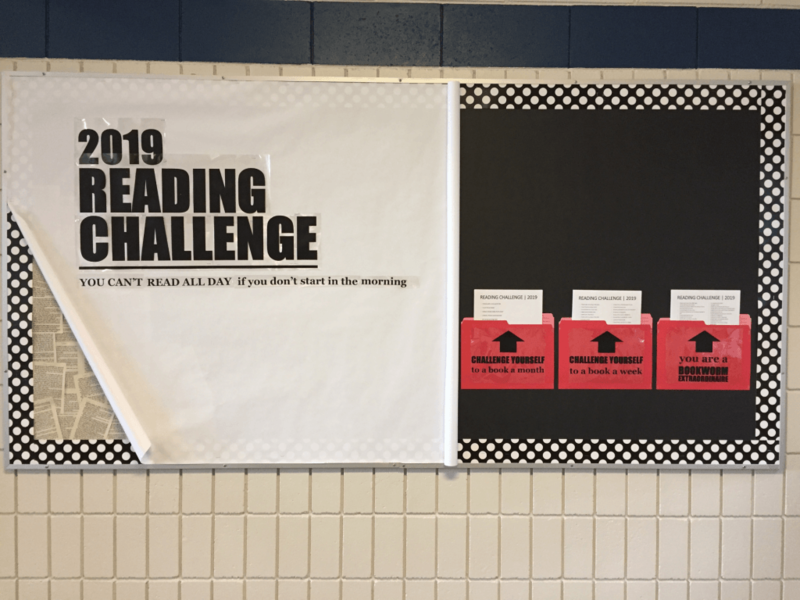 Try one of the 2019 Reading Challenges!